He was a great poet and helped bring sensitivity, romance and wistfulness to Hindi cinema with memorable songs like "Karwan guzar gaya, gubaar dekhte rahein" and "Shokhiyon mein ghola jaaye", which live on decades after they were written.Noted poet Gopaldas Saxena 'Neeraj', who passed away in a Delhi hospital last night after a prolonged illness at the age of 93, believed poetry was the only medium that could describe the beauty of the soul.In an interview with PTI in 2016, the poet-lyricist reflected on the nature of poetry itself. Karwan guzar gaya"Aatma ke saundarya ka shabd-roop hai kaavya, maanav hona bhaagya hai, kavi hona saubhaagya (Poetry is the word form of soul's beauty. Those born humans are lucky, those as poets, even luckier)." 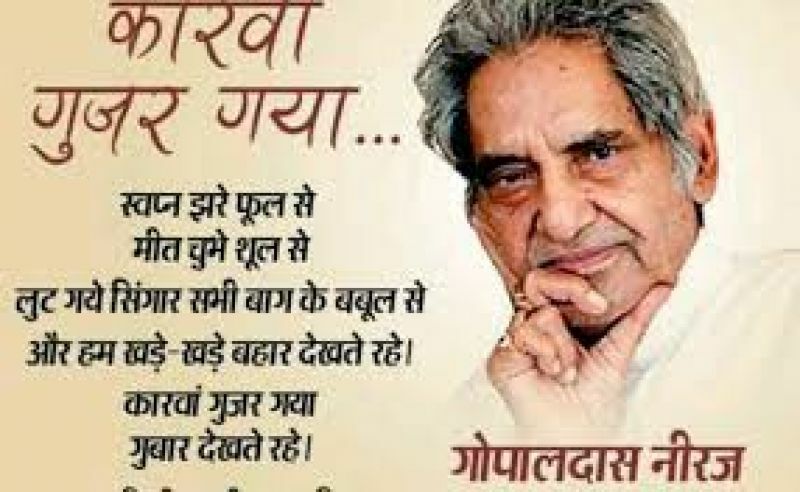 Neeraj believed it was important for poets to stand for humanity and truth. "Poetry stands for humanism. There is no bigger truth in the world than the human himself. I don't believe in god or reincarnation or the soul. This is the age of science. Science has taken humans to places. "Aaj ka bhagvaan to vigyaan hai, tum jise bhagwan kehte wo to bas anumaan hai (There is no god but science, what you call god, is a mere guess)." Dev AnandHe said he had never written anything cheap. "I still write and people invite me for programmes because I say what is right," he had said.Born in Uttar Pradesh's Etawah district on January 4, 1925, Neeraj forayed into writing songs for Hindi films in 1966. 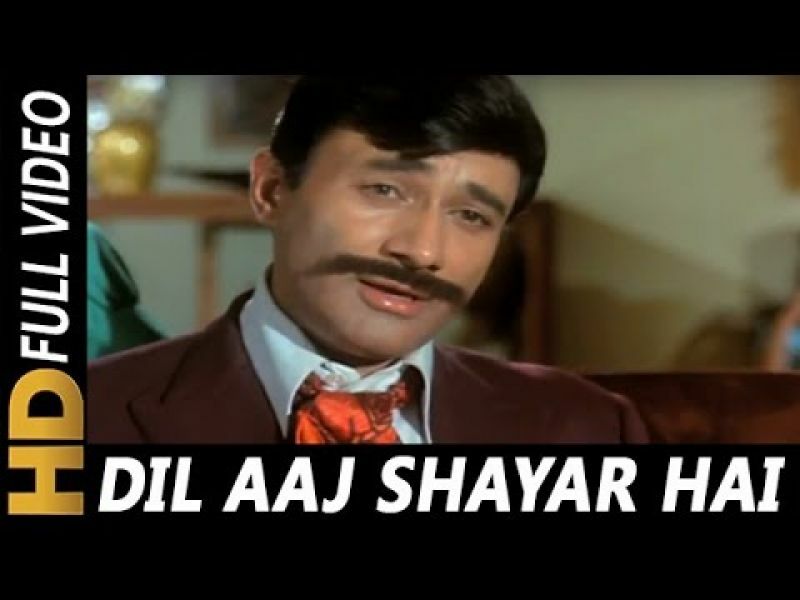 He established a long lasting partnership with Dev Anand. 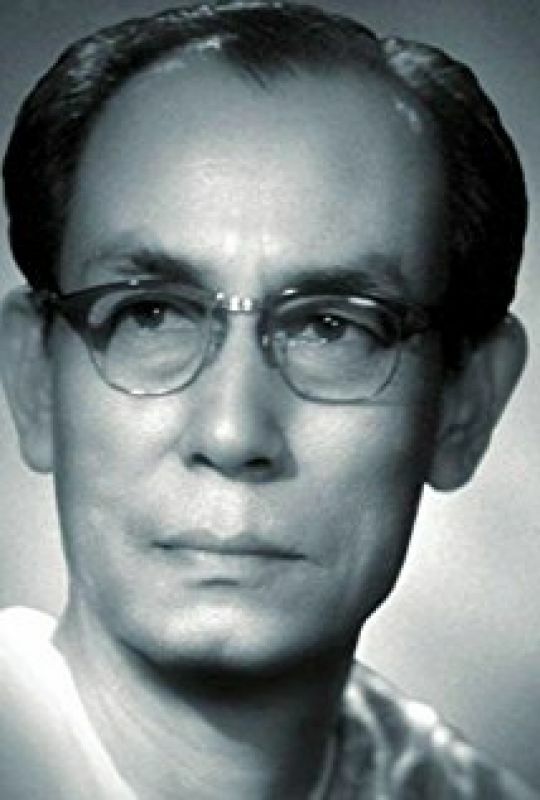 They first worked together on "Prem Pujari", the 1970 directorial debut of the actor.While the film did not do well at the box-office, it marked a great beginning for the then-budding film song writer who set words to the tunes of Sachin Dev Burman. 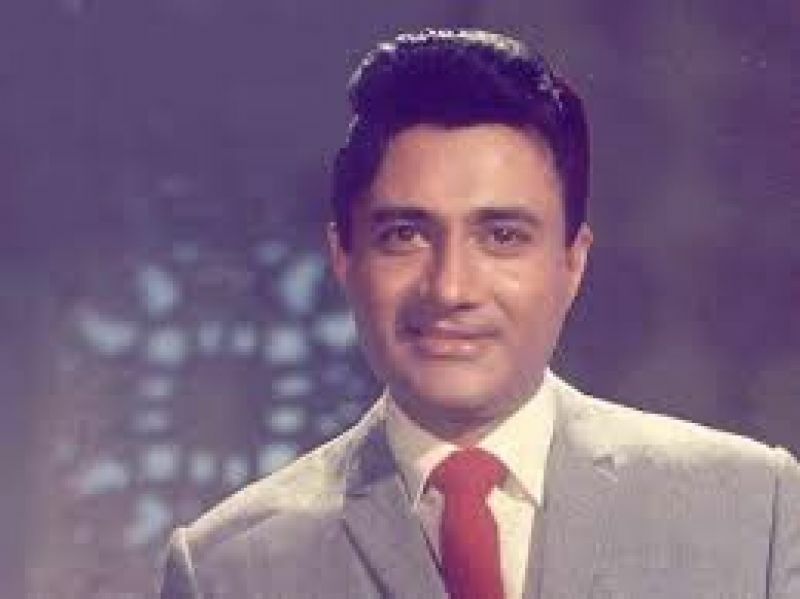 Sachin Dev BurmanTheir collaboration yielded evergreen songs like "Shokhiyan Mein Ghola Jaaye", Rangeela re and the chartbuster Phoolon ke rang se", all from "Prem Pujari".He also composed the hugely popular "Ae bhai zara dekh ke chalo" for showman Raj Kapoor's magnum opus "Mera Naam Joker", which also got him a nomination for the 1972 Filmfare Best Lyrics, an award he had already won for a now-less popular philosophical "Kal ka Pahiya" from "Chanda aur Bijli".He continued to work with Dev Anand's Navketan film company, penning hugely popular songs "Choodi Nahi mera Dil Hai", "Dil Aaj Shayar Hai". Dil Aaj Shayar HaiNeeraj credited Harivashrai Bachchan for inspiring him as a poet. "I have written in English also during my initial years as a poet but it was Harivansh Rai Bachchan ji who asked me to focus on writing in Hindi. He told me 'Kavita maatrabhaasha mein hi hoti hai' (poetry is done in the mother tongue)," Neeraj had said.Neeraj had taken a liking for astrology and 'Haiku' -- a traditional Japanese form of poetry which consists of three short lines that do not rhyme -- in his later years. "Now I don't have any more friends left. Over the years I have realised it is more about money than anything else. Be it friends or other relations, it is all commerce-oriented," he had remarked.